High Hopes marks Springsteen's 18th studio album that consists of outtakes from previous albums and songs that fans will be familiar with from Springsteen's live shows. Let's make one thing clear, this is not titled an "outtakes" album, this is very much a new studio album. Bruce said himself that he felt this is music that he felt needed to be released and I must say that I agree. Bruce mentioned that he really liked these songs but they just did not fit the albums that he was working on at the time.There are some really great songs here on this record so let us jump right into it song by song. I really liked this song once it was released as a single. It stands up pretty good on the album as a whole but actually not as well as I was expecting and that is saying something. I find that Bruce's vocals on this track are fantastic and for being recorded in 2013, that surprises me even more. Some great vocals and E Street sound here. Sounds very similar to the live version that they played in Australia in 2013. The entire E Street Band is featured on this track with the E Street horns and even E Street choir making appearances. Special guest Tom Morello is also very noticeable here on this one. Most fans have already heard this song as it was a single so I won't dive too much into it, but a solid track that gets 3.5 out of 5. This song title intrigued me as it seemed very similar to "Mary's Place" which was on The Rising. This song was also written for The Rising, but it did not make the cut. Many will see this as a blues and rock mix of a song. The song is clearly about gangsters, hipsters, and drug dealers which would not have fit in on The Rising. As a standalone track, it is very different from what people usually expect with Springsteen songs. That does not mean that it is a bad thing, in fact I like this kind of style that Bruce experimented with. The bullet microphone is even used in this song when Bruce cries out "bring it on down to Harry's Place," several times throughout the song. Bruce also uses some pretty colorful language here as he drops several "F" bombs. The sound is very unique to Springsteen and you won't be able to skip this one when you listen to it. The late Clarence Clemons also makes an appearance on this song, which was a nice touch by Bruce to include him. 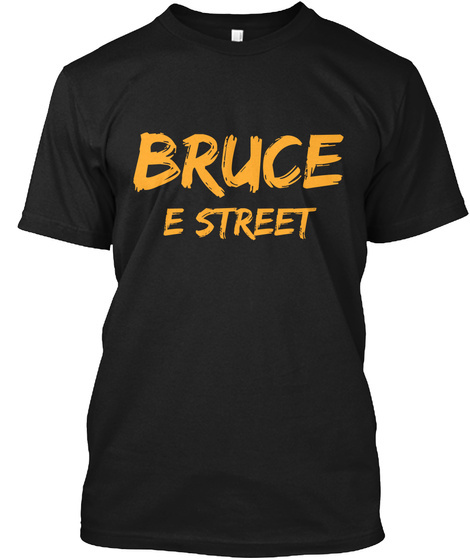 Many of Bruce's fans will notice this one from the live performances. The song starts and a few seconds in a bullet mic of Bruce comes roaring in with the echoes of "41 shots." This is almost a haunting type of sound and a perfect way to open the song. The track overall is an incredible piece of work with great vocals and great music backing it up. The intro and the outro blew my mind away. Pair that with some great editing and mastering and this is a track many will be surprised by. It almost felt like a new song but with the same lyrics. A great guitar solo also makes its way into this song about mid-way through. I can not stress enough about how much I really enjoyed this one and one that will probably be underrated by many. This was one of the songs I was very happy to see on the track listing. I loved the version that the E Street band did in Australia early in 2013. Without knowing it was Just Like Fire Would, you would have thought that the intro sounded like "Small Town" by John Mellencamp. Bruce's vocals really stand out here as well. Almost sounds just like the version they played in concert but almost has a classic E Street sound to it. With Little Steven echoing lines in the background really puts the cherry on the top as a classic E Street sound. A very loose track that almost everyone will enjoy. This is honestly one of the saddest and most gut-wrenching songs I can recall. On my first listen to this song, I actually worded to myself the word "wow." That is how good it was on first listen. This track is clearly about a man digging for a loved one in the wreckage of the World Trade Centers. The song starts out with a muffled sound of Bruce reading the first verse and that continues into the first few lines of the second verse. The song does have a very "I'm on Fire" type of beat. The line that really got me was "I'm gonna dig right here until I get you back." I believe that was the exact moment where I thought this was an instant classic. This song is also believed to feature the late E Street Band member, Danny Federici, with a great organ solo. This song was actually left off The Rising, and that is something I will never understand. It fit that album perfectly. It does not matter as it has finally reached the light of day and I am so glad it did. Backstreets.com actually posed an interesting fact about this song as Springsteen's children are actually featured on this track as well. Easily in the top three for best on the album in my book. "The fires keep on burning, I'm here with you in the cold, down in the hole." The song starts out with a strong choir singing "Raise your hand!" That is the majority of what you will hear in this song. Other than that though, the song is full of religious background "come on sons of Abraham, we're waiting outside of heaven's wall." Bruce eventually joins in chanting "raise your hand," with the choir sounding singers. Tom Morello is also very noticeable here on this track. I think this could make for a great live song to be played but it did not do a lot for me on the album. It is a good rocker but I wish it had a little more texture to it when it came to lyrics. Still, not a bad track and a good amount of people will probably like it but not love it. Remember how "Just Like Fire Would" had a classic E Street band feel to it? Try this one. I love this song with Bruce yelling out "Good morin' good mornin'" to start out the song. Bruce uses Einstein and Shakespeare a good amount in the third verse. Bruce mentioned that this song was really a reflection of him a Little Steven back in Asbury Park when they were bummed out. I did not get that on the first few listens but I think it could resemble that after listening to it a number of times, it is not obvious at least to me. But this overall, just had a great rock and roll type of feel to it and many have said it could have fit in on The River album. It is probably one of my favorite songs on this album. A strong presence of bagpipes opens the song that instantly grabs your attention. The song overall is not a bad one but not a stand out on the album. I think Bruce did a good job with the lyrics as it sounds like he is trying to teach life lessons to the listener: "...And remember this, the shield will protect your secret heart, the sword will defend from what comes in the dark." It almost sounds like he is giving advice during the entire song to his listeners. He advises you to carry your sword and shield that he consistently mentions in this song to protect you from the dangers in the world. From heartbreak and feelings to the real world dangers "from what comes in the dark." A good solid track that sounds like it could have been wrote for Wrecking Ball. This is a very interesting track to me. When I first listened to it, I'll admit I was not entirely blown away with it. Now, I think it stands on its own on the record. The song has such a catchy melody and rhythm as you listen more and more to it. Do not be surprised if you find yourself randomly humming and singing this song out of the blue. I think the song can be interrupted in several different ways. This track is the one that made me lyrically think the most. I am still not 100% sure about what it is exactly about but again, the song makes you think deep about the meaning. Musically, again it is something that I do not think sounds like any other Springsteen track. I will let you decide what you think the song is representing. Give this one several listens as I found it grew on me very quickly. Bruce has played this one a handful of times in concert before, mostly on the Devils and Dust tour. Starts out with just Bruce and his guitar then "Cigarettes and a bottle of beer, this poem that I wrote for ya." This song is about a marine who went missing in Vietnam and now Bruce visits him at "the wall." This is a really powerful song which showcases what sounds like Dan Federici on the organ with a nice solo. I think this has the potential to be some of your favorites on the record. An amazing studio recording that tells an amazing story. Right out of the gate, you are greeted by a punch to the gut with a very hard opening. It is even more apparent when you Segway into it from "The Wall." This is the standard live or electric version of the song that we all know. However, it just sounds very polished and actually surprised me. I was not expecting it to be this good. Tom Morello is featured heavily on here and does a duet with Bruce trading verses with him. This is actually the first song in Springsteen's studio history where a guest takes almost half of the verses. Some may count Michelle Moore's in "Rocky Ground" which is true but Tom Morello shines bright in the spotlight here on this one. It is the same live arrangement that they do but the guitar solos again sound incredible. This will be a pleasant surprise for people who may have thought nothing of it before or for people who the song became "boring" to. I still find myself really liking this version. I think it is a great way to close out the album. Many of us have heard this from the "thank you" video that Bruce released to his fans after the Wrecking Ball tour. Bruce performed this at almost every show during his 2005 Devils and Dust tour as it closed the show then, it now closes his new album today. Great vocals with just Bruce and the pump organ open the song which then electronic drum beats, piano, and strings make their way into the song. I think that is what puts the song over the top for me. It just sounds a lot better with them coming in where they do. I think we could see Bruce be performing this one on tour and closing out the shows with this one. I think the more and more people listen to this album it will grow on them. It is a great record from Springsteen but I do not think people will consider this one of his greats. There are some real gems on this one like "Down in the Hole" and "Hunter of Invisible Game" really makes you think hard about the meaning. I was very excited for this album and was not expecting it to be as good as it turned out to be. I am very pleased with this record and I think a majority of Springsteen fans will be as well. Click here to purchase High Hopes now! I highly recommend you do!